When it comes to store-bought barbecue sauce, I’ve never been able to find the one. Most bottles contain plenty of liquid smoke and other unpronounceables. And then, there’s the sugar. The average barbecue sauce contains a shocking amount of sugar. For mainstream grocery store brands, that’s typically in the form of high-fructose corn syrup. And while homemade recipes fare a bit better, almost all of them ask you to essentially empty your ketchup bottle (which by the way, contains some version of sugar as ingredient #2). On top of that, you’ll still need to pull out your sugar bag to add more! I knew there had to be a better way. Turns out, this BBQ sauce is it. It’s the answer to my barbecue sauce woes - and hopefully it solves yours too. This healthier homemade BBQ sauce packs a punch of flavor, and is totally vegan-friendly. It’s also really easy to make, coming together in 20 minutes or less, rather than hours bubbling away on the stove. But perhaps the best part of this recipe is that there’s no need to use ketchup or refined sugar. That’s right: a delicious barbecue sauce is totally possible without them! Tomato paste provides the color and hint of tomato flavor; while the medjool dates provide a natural source of sugar. Every good barbecue sauce has some element of sweetness, so it’s important not to skip the sweetness altogether. 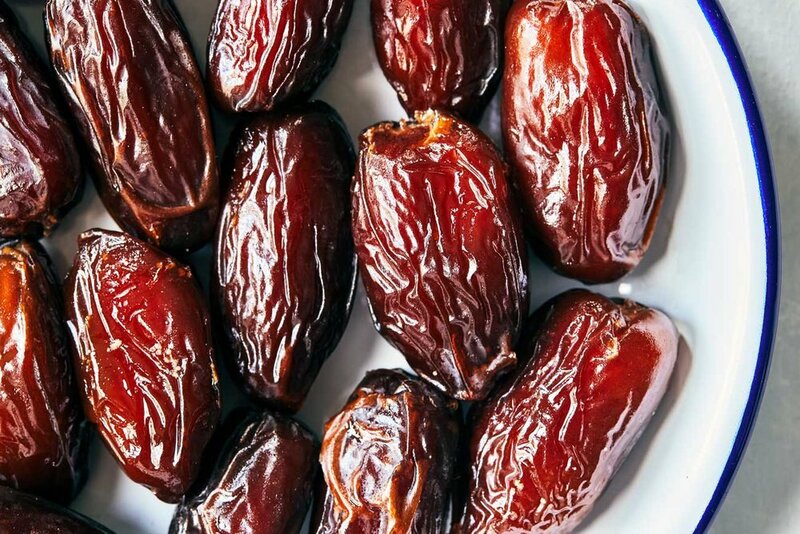 Rather, dates provide a healthier option without adding so much sugar that your teeth hurt. Since making your own barbecue sauce from scratch can seem like a big hassle, I tried to keep the ingredients list as streamlined as possible. 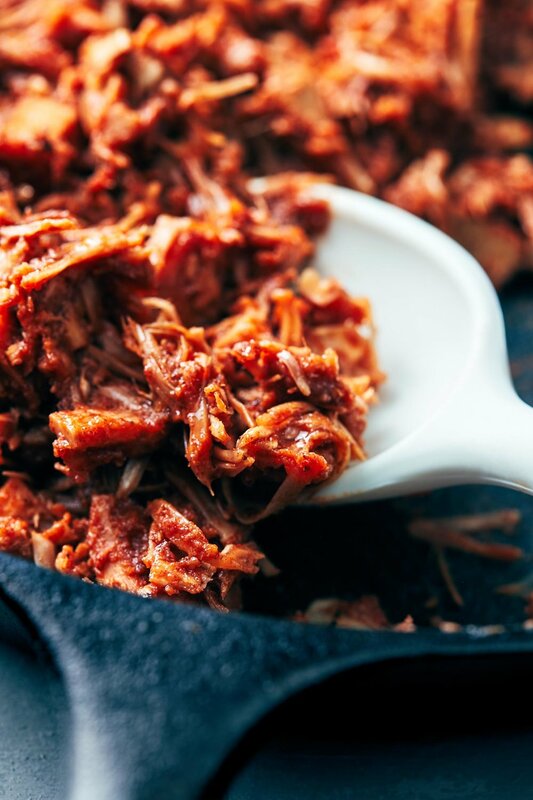 The beauty of barbecue sauce is that it has many layers of flavor, so trust that each of these elements are truly essential to a well balanced sauce. To spare you from searching for specialty chili powders (of which there are many), I found that a hefty amount of freshly ground black pepper delivers a (surprisingly) ample amount of heat. White vinegar and apple cider vinegar provide the perfect amount of tang. Most homemade recipes will call for apple cider vinegar only, but keep in mind, that’s because white vinegar is already a key ingredient in ketchup. Since we’re skipping the ketchup, you’ll want to add the white vinegar separately. It goes without saying that you should always tweak a recipe to suit your tastes. BBQ sauce happens to be one of those things where everyone has a different opinion on how sweet or tangy their sauce should be. Treat this recipe as a base, and explore from there. Like it more sweet? Add extra dates. More tangy? Increase the amount of lemon juice or apple cider vinegar. Extra heat? Use more black pepper, or add in a chili powder of your choice (chipotle powder would be great). Either way, you’re going to love how delicious and versatile this healthier homemade BBQ sauce is. We highly recommend you make extras and store in the fridge for the next time that barbecue craving hits. Pit dates, then place into a saucepan. To the pitted dates, add tomato paste, water, tamari, apple cider vinegar, white vinegar, freshly ground black pepper, onion powder, and dijon mustard. Bring to a boil. Once bubbling, reduce heat to a simmer. Cover with a lid and cook for 15 minutes, stirring every 3-4 minutes. Transfer mixture to a blender. Add fresh lemon juice, then blend until the mixture is completely smooth. Store extras in the fridge.